The feature documentary Generation Startup recently premiered. Co-directed by Academy Award winner Cynthia Wade and Cheryl Houser, the documentary follows six Venture for America Fellows and alumni for two years as they attempt to build businesses in Detroit. Venture for America is a fellowship program that selects recent graduates and assigns them to startups in highly entrepreneurial locations. As for the film, it's the finest movie about entrepreneurship I've ever seen. I believe it will touch and inspire countless people in the months to come. And like most movies, it very nearly never happened. I first met Cheryl Houser by chance at a Brown University alumni event in early 2014. We spoke about her son, Avery, who became a Venture for America Fellow in Providence after graduating from Brown himself the previous year. Houser remarked how he'd grown tremendously in the preceding months. She credited, in part, his experiences at the startup he’d joined through VFA. At it turns out, Houser was an award-winning film producer. And she became convinced there was an important story to be told about the entrepreneurship journey and its effect on people – particularly young people. I was skeptical anything would come of her interest. I knew movies are notoriously difficult to create, not to mention costly and unpredictable. I’d heard horror stories and didn’t want to watch one up close. Still, Houser was determined. She wrote a treatment and persuaded Oscar-winning director Cynthia Wade to join the project. Houser enlisted a colleague, Brian Egan, who was equally excited about the film. She simply started moving forward as if her documentary needed to exist and would certainly happen. One by one, obstacles fell by the wayside. It seemed the universe bent to Houser's vision and determination. One of Venture for America’s most important partners, the PwC Charitable Foundation, became the film's lead sponsor. UBS and the Davidson Foundation followed. Houser and Wade began filming in June 2014 and identified a group of young people open to sharing their stories, even without knowing how any of it would turn it. The crew made regular trips to Detroit to follow Avery, Max, Kate, Dextina, Labib and Brian as they tried to build their businesses. This was perhaps the most incredible part of the whole process. It’s a "follow documentary," so no one could know what the movie would be. There certainly was no script. They just trusted that if they followed six aspiring young entrepreneurs for months on end, stories would emerge. Seeing the entire crew in action gave me a whole new level of respect and admiration for those who tackle this type of filmmaking process. They spent hours and days on location hunting for moments that might make it onscreen. They accrued more than 1,000 hours of footage, 98 percent of which will likely never see the light of day. Underlying it all was simple trust, belief and conviction there was an important film here and a story to be told. I remember sitting down to watch the film for the first time. I’ll admit to being nervous. They'd all put so much into making this movie happen: hours, days, hopes, dollars, dreams, heart. Trust. As the movie unfolded, I found myself moved almost to tears. It was beyond good. It was great. It was funny, moving and transporting. It captured the spirit, possibility and struggles of entrepreneurship better than I would've thought possible – maybe because the filmmakers were living it themselves. That’s my favorite thing about "Generation Startup." It's easily the most honest depiction of entrepreneurship I've ever seen. So many common narratives in other films follow the hero’s arc. They romanticize the maverick loner who overcomes public skepticism and emerges triumphant. The truth about entrepreneurship is much more human. It’s about waking up early day in and day out. It’s about the million little things that must get done even though no one cares but you. You'll dedicate months or years to something that may not pan out. You'll depend on relationships and teams. It’s unsexy. It’s about journeys without clear endings. And it’s about working far outside the spotlight. The easy narratives only obscure the central problem: young Americans are starting businesses at multi-decade lows. Millennials are the most apt to use social media but the least likely to start businesses than any prior generation of the past 50 years. 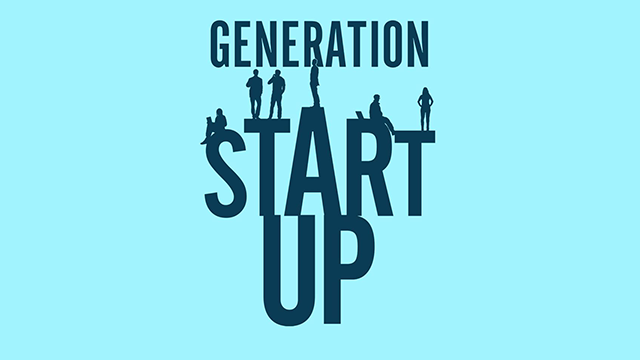 "Generation Startup" isn’t so much a description as a call to action. That’s what the filmmakers set out to achieve – to tell human stories that would inspire action. Their ambition was staggering. They set an incredibly high bar for themselves and vaulted far beyond it. I can’t wait for others to see what I see.